One of my most favorite imports from Australia is the Ranger’s Apprentice series that I was introduced to by Zach and Amanda Banker. 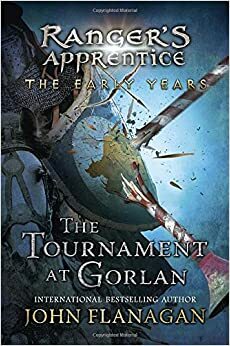 This is a prequel to the entire Ranger’s Apprentice series and is a story of Crowley and Halt before Halt was officially a Ranger and tells of a plot to unseat the sitting king and disband the Rangers. Crowley and Halt recruit several of the Rangers who have been summarily fired and a former Ranger who trained Crowley and Halt. Between the Rangers and some allies on the inside they manage to disrupt the plot to unseat the king. Did I enjoy it? I have never read anything by John Flanagan that I didn’t like. Once again he has woven a great story of mind over might, using the brain as a weapon. What is with the title of the review? Mad Max and Crocodile Dundee are well known Australian imports but to me John Flanagan’s Ranger Apprentice and Brotherband books are better than either of them.